The most obvious use of drones for business purposes is delivery — and companies from UPS to Amazon and even Walmart have been exploring ways to leverage the unique talents of these flying automatons to do just that, but delivery is not the only way that drones can be used for commercial purposes. 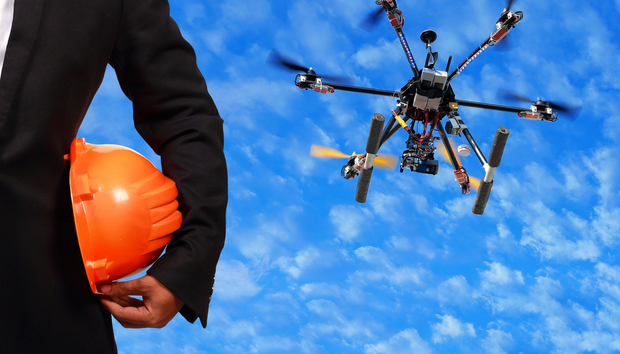 Companies like Skyward, Verizon’s drone management company, are seeing implementation of drones in industries as diverse as agriculture, construction, energy, mining, retail, utilities, insurance, and sports. Online real estate marketplace Ten-X has used drone technology extensively in showcasing commercial real estate assets to a national and global audience. The aerial drone footage gives buyers a unique perspective of the property and surrounding topography. Sellers appreciate the expansive ability drone footage provided in showcasing their asset to potential buyers around the globe to enhance execution and pricing and the buyer’s experience is improved because of the range and quality of images that drones make possible. Ten-X Executive VP Rick Sharga cites the example of Ten-X’s use of drone footage as part of its marketing efforts on the sale of a $96 million office complex in Manhattan Beach CA, one of the largest online transactions to date. “The winning client was from outside the United States, and the impact of the drone footage was clear,” he says. Jonathan Evans, co-president of Skyward, says that most recently, they have seen the media and film industries turn to drones in really interesting ways. “We can see the aerial perspective revolutionising film production right before our eyes,” he adds. « How will China's GDPR-like Cybersecurity Law impact business?